Black Friday. Cyber Monday. Do you feel like you’re running the gauntlet known as the Holly Daze? Well, let’s take a quick trip to Kansas, yes Kansas, where my mother-in-law snapped these photos of their garden center, Horticultural Services. 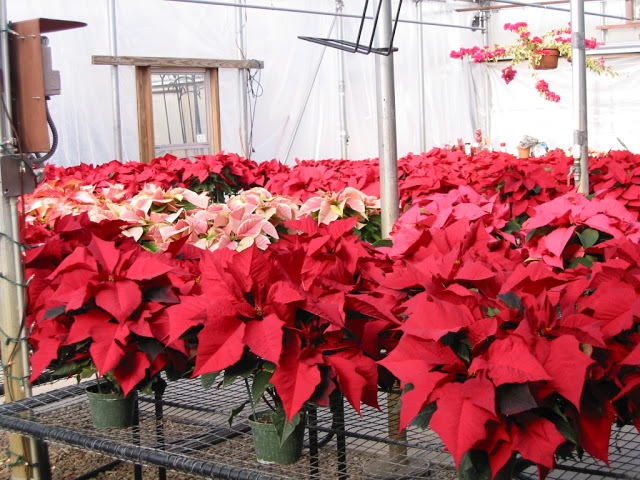 Hundreds and hundreds of poinsettias, which they grow themselves, ready to add a little color to someone’s home and holiday. The calendar may still say November, but I’m ready for some RED! 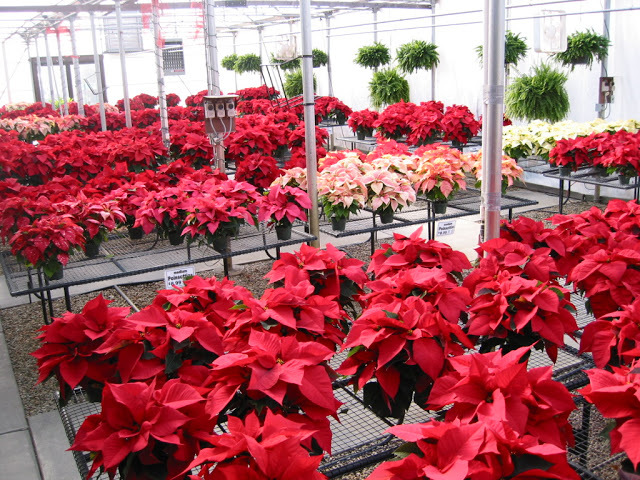 What’s your favorite holiday bloom? Amaryllis, paper-white or poinsettia? Definitely amaryllis of the pink variety… and I hope you're not "seeing red" too much. Welcome home and happy week! Those poinsettias are wonderful but since they’re not dog friendly I love Amaryllis and paper whites mixed with greens. I was busy pinning the Newport poinsettia trees yesterday! I was also quite bummed because I couldn't find any paperwhites at the store yesterday. So pretty! I hope your Thanksgiving was just as magical as your photos. Paper Whites, Amaryllis, Poinsettias–I love them all! can't wait to start decorating! Have a lovely week, Elizabeth. 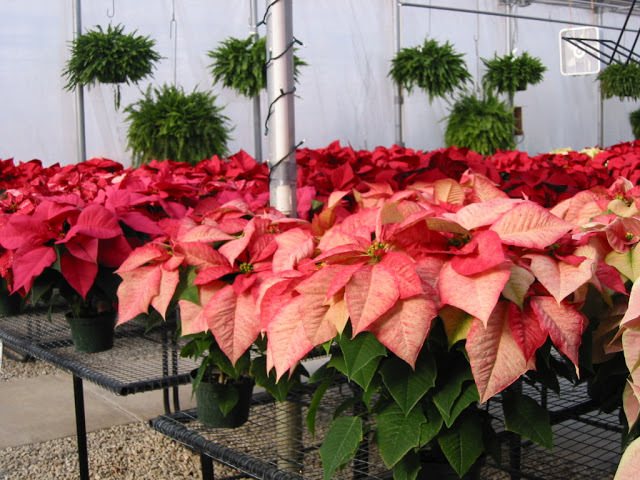 My grandmother used to grow beautiful poinsettias that she coaxed back to new blooms year after year! I did not inherit that gene. And I like all three choices! Unfortunately Paper Whites, Amaryllis and Poinsettias are all toxic to dogs. Also raisins, grapes and onions will shut down their kidneys,no wine either….lol. Just keep the plants high and Molly will be fine. These are beautiful! Starting to get in the spirit of things! I just filled my hall/foyer basket with these. love them! They are so beautiful. I especially love the pink. My favorite is paper white, because not only do I love using white flowers, but the scent is wonderful!! My husband put up the outdoor lights yesterday so I am totally in the mood!! 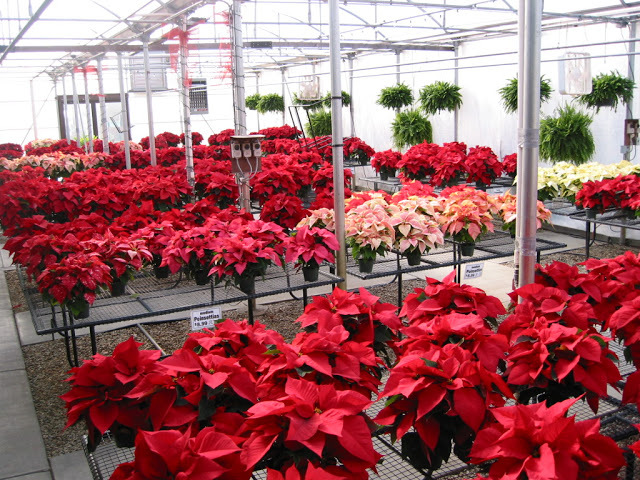 I'll be buying my poinsettias as soon as I can get to our florist!! That's a sure sign of Christmas and so pretty. Can't wait to get some for my house. i need to pick up some this week! Cant wait! I am a paper white girl but these are lovely photos! Time to gear up for the Holly Daze! 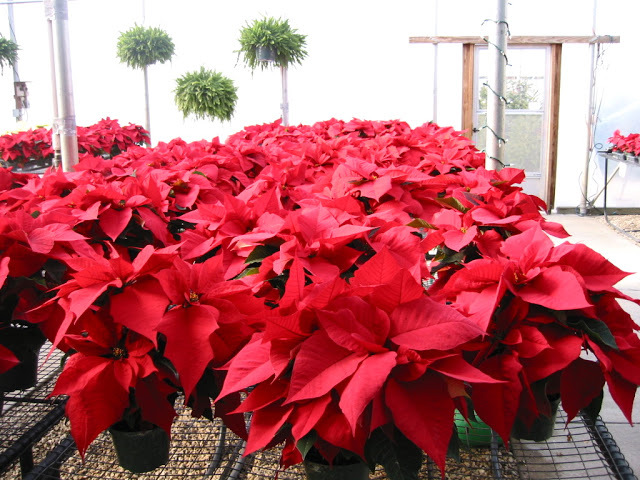 Love all these poinsettias I am going to a farm this year with my Mom and BFF!! Can't wait! Paper-whites are my favorites, although poinsettias and amaryllis are beautiful too!